With great sadness but with great apostolic concern, Sum of Our Authority we state that the Apostolic Exhortation love joy It should be read and placed in a complex historical context of decay characterized by a profound loss doctrinal and pastoral, because if isolated from this humus, you will not understand nor his lexical style nor the laudable effort in its preparation. Of this document they remain unquestioned and the good intentions that have animated, all he aimed to address and resolve issues related to the family and marriage in relation to the many and varied contemporary societies of the world, that since the seventies of the twentieth century have gone to meet progressive disintegration, in a society that tends now to deny the eternal becoming, the immutable and absolute unbreakable. A serious problem, the latter, resulting from the loss of metaphysical language within the Holy Church of Christ, and especially in theological speculation and in the transmission of the truths of faith. The abandonment of this language, largely solidified and inherent to the mission and the very nature of the Church, has often been replaced with styles and forms of expression that idiomatic, on the doctrine of the Holy transmission plan, They have created problems and sometimes even disastrous consequences. love joy is a long text dealing with a wide variety of topics mostly sociological, ending with be ambiguous in some important steps and we proved weak, why not always clear on some fundamental elements in which it is not wise or prudent to leave room for vagueness and the free interpretations of the individual Bishops' Conferences, individual priests or the various theological schools of thought, that need to be guided and directed with more clear and precise words. Indeed, Christ the Lord, giving the Blessed Apostolo Pietro the power of the keys [cf. Mt 16, 18-19], He commanded him to confirm his brothers in faith: «Simone, Simone, behold Satan has demanded to sift you like wheat; But I have prayed for you, that thy faith fail not:; and you, turned again, strengthen thy brethren " [LC 22, 31-32]. This heavy-duty power service, by Blessed Apostolo Pietro was transmitted to all his successors, up to Us, we profess we devoted servant of the servants of God. Our fundamental premise of the Petrine ministry is so sure, clarity and escape from any vagueness, as he remembered the Blessed Apostolo Paolo to the Blessed Apostle Peter during the reproach he moved to Antioch to the Head of the College of the Apostles, with all due respect to his undisputed authority [Maybe 2,1-2.7-14]. The interpretations that can be derived from different pages of love joy They can be opposed and both consistent on the basis of what it can be deduced speculative and interpretative level, which leads us to reiterate that the doctrinal language must be clear, unique and not subject to conflicting interpretations, place that our speech should be "You, and, No, no» [cf. Mt 5, 37]. Therefore, before any question of moral doctrine, it is not contemplated that any suggestion that the answer could be "yes", but also wanting to "no", if anything, a bit '' yes 'and a little' 'no'. As the Supreme Guardian of the deposit of faith is upon us an obligation and duty to ensure that the sull'ovile Divine Shepherd has entrusted us, preventing the small seed but dangerous ambiguity, shoots up to undermine and circumvent the doctrine of the Holy Church of Christ through pastoral practice, why allow such germination does not amount to meet the modern needs of today's society, but disregard a rule laid down by the Word of God concerning sacramental marriage: "For what man does not separate what God has joined" [Mt 19,3-12]. The man is conformed to Christ, and Christ is not conformed to man. This is why we reiterate that it is the Holy Gospel of Our Lord Jesus Christ, the Word of God made man, dead, resurrected and ascended to heaven, He must transform man and human societies; He is the man who must conform to Christ, It can not be the man to transform the Holy Gospel nor can they be human societies to bring Christ to their needs of the moment. The commands given by Christ the Lord are immutable and eternal and can be neither dismissed nor evaded through ambivalent words from which to draw legitimacy for new pastoral practices related to the administration of the Holy Eucharist, which it is the center and summit of the Church's unity. Therefore, the right medicine and the right encouragement for those who have failed to commitments through the sacrament of marriage and living a new union outside the sacramental sphere, It may not be the Eucharist, well because others are appropriate medicines to be administered, from the reception of such children Our, to follow with their prompt and careful spiritual care. The no Eucharist to divorced and remarried is an ecclesiastical discipline, not a dogmatic truth. The prudent choice not to grant the Most Holy Eucharist to divorced and remarried is not a dogmatic element of the Catholic faith, but a discipline rules adopted by the Magisterium of the Church in fidelity to the moral taught and transmitted by the Holy Catholic tradition. Therefore, for the power conferred to us by Christ the Lord, of Our authorities we could amend that legislation governing, but we do not intend to reform neither direct nor leaving creative autonomy the particular Churches and some national episcopates, because from what life would take a new pastoral practice in so-called non-homogeneous diffuse patchy, while the Church disciplines are unique and universal, as is his pastoral mission. The decision not to grant the Most Holy Eucharist to divorced and remarried, and especially today in this history when marriage is weakened, It is also based on the conservative belief that this concession would end up further weaken the sacramental institution of marriage and the inescapable foundation and not be reformed its indissolubility [cf. Mt 19,3-12]. This is what we fear, and that clearly express to Our Brother Bishops: founded fear that through the Holy Eucharist can end up making even weaker than it already is, unfortunately, the indissolubility of the foundation of the sacrament of marriage to which, unfortunately, nowadays no longer believe even many of our Catholic faithful. In this case, the Holy Eucharist would become more to that for which it was established, ceasing to be the heart of the communion and unity of the Church through the sacramental grace. And it must remember here that the sacraments are not a right or have acquired, but a free act of divine grace, that touches us and fills us with goods "not because of our merits but for the richness of Your forgiveness" [cf. S. Mass, Can. Rom.]. Never bothering to please the world: discipline “Family company”. Therefore, the total negligence of internal and public critical failures that could fall on Us, Mindful that the Roman Pontiff must aim to please Christ the Lord in doing His will, sanctifying himself and with his sanctifying teaching and his works the Christi fideles; also mindful that we can not cure us of pleasure in the world, pleasing that we might run the risk of conducting blind guides as many members of the flock entrusted to us to fall into the ditch [cf. Mt 15,14], Our Brother Bishops to reaffirm that with regard to the pastoral care of divorced and remarried Catholics should be applied with care and zeal as indicated by our Holy Predecessor Giovanni Paolo II in his Apostolic Exhortation Family company, with particular reference to the n. 84, reaffirming the non-permissibility, hence the impossibility of their access to the Holy Eucharist, both for reasons linked to pastoral prudence, both linked to the wise institute protection of sacramental marriage, already far too hard hit and debased in the last decades of the history of mankind. The Bishops diligent care to always be loving and welcoming toward these Our faithful who are divorced and remarried for their irregular situations need to be made to feel even more vibrant part of the Holy Church, mindful that Christ did not fail to remind us: "It is not the healthy who need a doctor, but the sick. Go and learn what this means: I desire mercy, not sacrifice. For I came not to call the righteous, but sinners " [cf. Mt 9,13]. Nowhere in the Holy Gospel and at any time of His preaching, the Incarnate Word of God has ever said that to be welcoming and merciful to accomodate and legitimize the moral disorder, or that you have to be afraid to call and to indicate the moral disorder as such, moving on false pretexts of mercy and false acceptance. Our task is to accept and carry out the sinners from their sins, treating them in this way by the disease of sin; and a prerequisite for the remission of sins is the genuine repentance combined with the sincere intention and commitment not to fall into sin. It promises the unfeasible and impractical to obtain a purpose. 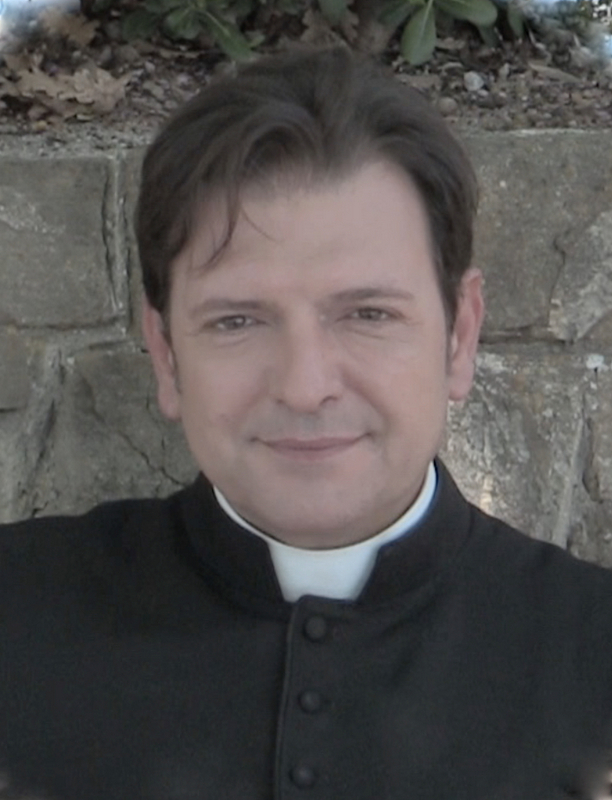 To accept and treat, for pastors in the care of souls, however, it is very difficult to do and to practice, while it would be a lot easier to look for a solution to certain problems linked to the so-called irregular pairs granting them access to the Holy Eucharist, then declaring the non-existence of the serious problem constituted by the rupture of sacramental communion. It has also advocated an "accompaniment" journey of these pairs of divorced and remarried, however, replacing the concept of spiritual direction with an unspecified "spiritual accompaniment". And here it would be good to note that "direct" and "accompanying" are not two simple ways to express the same thing, but to say and express two different things. It was then later clarified that this "accompaniment" was to "Custom" and as such need to be evaluated case by case, according to the needs of the single divorced and remarried couple. A perspective, this, before which it must first be a strong reminder to realism: the number of pairs of divorced and remarried is progressively increasing and the local Bishops Conferences come worrying statistical data which relate that in some regions of the world marriages that end with civil divorce are superior in percentage 50% of religious marriages celebrated. To these numbers it should be related then of necessity the current situation of the Catholic clergy. 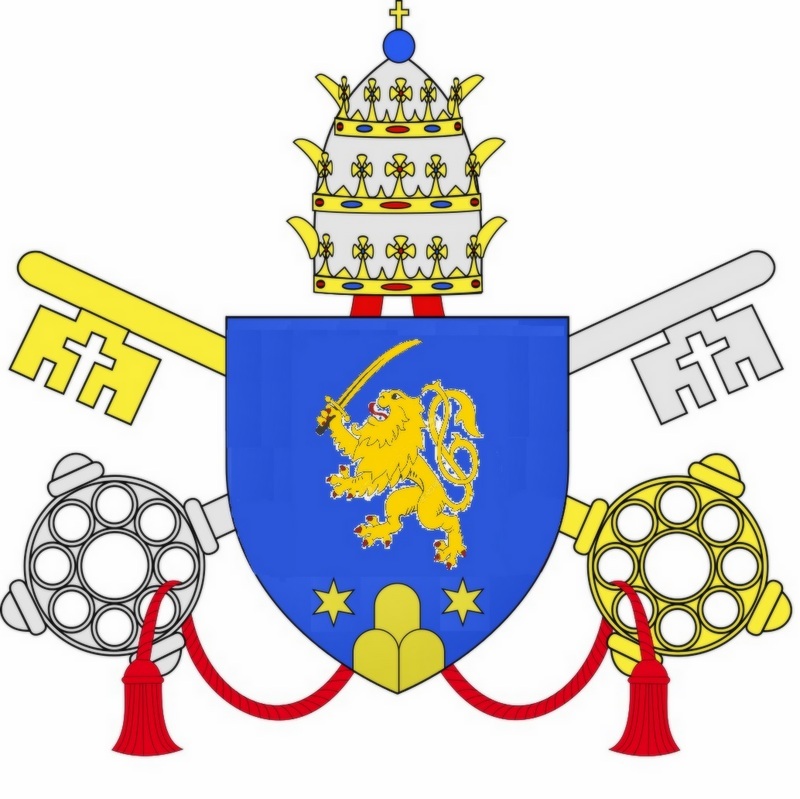 It is a fact that few bishops of the world during their visits ad limina Apostolorum refer to the Roman Pontiff that the number of deceased priests is a lot higher than that of new priests ordained and that the average age of the clergy, in not a few dioceses, it is now also attested above seventy years of age. In Italy itself, ancient historic cradle of Catholicism and in whose territory is located two millennia Our Apostolic, the late nineteenth century, there were about eighty thousand priests for a population of about twenty-nine million inhabitants. At a distance of barely a century, at the end of the twentieth century, the priests present at the dawn of the new millennium were about thirty thousand for a population of around sixty million inhabitants. Today, in many dioceses of this country, There are eighty priests who celebrate Mass on Sunday in three different parishes, all now without a priest, while the age of priests is always higher and more numerous deaths of new ordinations. In many regions of the world there are priests who prior pardon of their Diocesan Ordinary celebrate at parties and days of obligation are seven, eight Masses a day. In many other regions of the Orbe catholica it is now impossible to guarantee in many communities even Mass on Sunday, because there is only one itinerant priest in charge of going in different pastoral areas now devoid of a priestly fixture, at which you can go only once a month, and only for the celebration of Holy Mass. In these cases, often, it is even impossible to administer the sacramental confessions of the individual faithful gathered in large numbers to the monthly celebration of Holy Mass, and the priest is thus forced to give general absolution for the purpose of the faithful to go to confession as soon as possible for them. Illustrated as real and given that it is not our intention to establish the intentions of others processes, we must seriously ask ourselves: what is the relationship with the ecclesial reality, ecclesiastical and pastoral of those that in a situation such as the one above-illustrated, It even despite hypothesis and proposed that "accompanying", whereby follow with care every single couple in a long way "custom" of discernment and growth? Because the reality until summarized here could also lead to raise a serious and objective question: those who put forward proposals in itself is not likely to be realized and equally not possible to go, perhaps they do just to get the goal they have set, inwardly aware that no "accompanying", whereby follow with care every single couple in a long way "custom" of discernment and growth, It may even be minimally realized, in today's world in general, but particularly in those many of the world where the average statistics indicate the presence of a priest every 18.000/ 22.000 baptized? Or maybe put forward proposals in itself is not likely to be realized, and equally not possible to go, because totally it divorced from real and concrete ecclesial and pastoral reality? Certainty of punishment for offenders. We conclude that a given arrangement may produce its effects, if it not accompanied by adequate punishment for offenders. Therefore we determine that the diocesan bishops, which does not adhere to the norms dictated by Us, They are deprived of his episcopal chairs. I Presbìteri, which preach and implement different disciplines, they are suspended for a period not less than one year from the exercise of the sacred priesthood. I theology, which in ecclesiastical universities, in theological training centers and houses of formation for priests, religious and laity, They teach a different doctrine than that which We confirmed, they are deprived of their license to teach Catholic theology. If this is not done in case of need, then the competent Ecclesiastical Authority will have to answer before God for having failed to apply a provision on the protection of the Catholic doctrine of the souls entrusted by God the Father to the care of the Holy Church of Christ, because "to whom much is given, much will be required; to whom men have committed much, It will ask the more " [LC 12, 48]. And every time that we all do the penitential rite, we ask God for forgiveness for having sinned not only in thoughts, in word and deed, but also omissions. Given in Rome, at St. Peter's, the 13 May 2027, the 110th anniversary of the apparitions of Our Vergine Maria of Fatima, the first of Our Pontificate. The author of the text of the pseudo Clemente XV is, obviously, Ariel S. Levi Gualdo. On the other hand, Who else could be? After it self-appointed Titular Bishop of Laodicea in the past Combusta via telecommunications lines, Now self-candidate with a chance at the next conclave, animated by the certainty that, worse than what has been done in recent years on the doctrinal and pastoral plan, It will be very difficult to pass, although it is customary to say that the worst, unfortunately, there is no end. the last meeting of the clergy of our diocese I discovered something that you point, dear father Ariel … everyone knows you, all basically read your writings, but all, with the exception of a few, admit to meet you and read your writings. I just wanted to alert you. I will try to rip you and the other a smile, the premise that the purpose of the story that follows is intended only and exclusively to this: to draw a smile. In May 2015, in Rome, I found myself by chance in the middle of the Italian bishops who were entering in the Paul VI, since before which I accompanied a bishop who had been consecrated in 2013 and he elected to the throne of his diocese. In front of the entrance to the courtroom last two exchanged words, and I took leave of him. Meanwhile the bishops were coming in dribs and drabs, including a group of five or six bishops talking with each other were entering. One of these bishops, softly, but still audible – so much so that I felt, and the bishop with me just as he heard -, he told them: "Who is that Bishop with the Father Ariel?». I do not know who these bishops, but, apparently, they knew who I was. Not that I do flatter and excites me, but this is what happened on that May 2015. You see, dear Brother, the problem is not to know or not to know, read but pretend not to read; the problem that I consider more dramatic – for them and not for me – is that these and other people who know but pretend not to know, who know but pretend not to know, reading and pretend not to have read, escape any kind of confrontation both public and private. And, like all those who have nothing to say and above all arguments to justify the unjustifiable now the fruit of our ecclesial devastating decline of moral, spiritual and doctrinal, They try to give the impression that they can not stoop to “certain comparisons”. Except then go to confront with his head and with a smile printed beota in the face with the luterati heretics, with pneumatological Pentecostal possessed and especially with the new invaders of Europe: Muslims. That said, I invite you to pray with me to Our Vergine Maria of Fatima in this centenary 2017.